An increase in fluids in the magma chamber and in the chimney of the volcano Rincon de la Vieja were detected in the last week by geologists from the National Seismological Network (RSN), which is composed of the UCR and the ICE. Waldo Taylor Castillo, who is responsible for monitoring the volcano, said the increased activity as detected by registries in monitoring seismic stations installed in the area. He added that, for now, they can not predict the reason for that change in behavior. It is thought that in the not too distant future phreatic eruptions may occur, but they did not say when, because of the lack of historical information which is now being taken from the instruments. For now, access to the crater of the volcano remains closed for prevention, but the trails, pans and other attractions of the National Park Rincon de la Vieja Volcano are open to tourists. Since 29 May, the National Emergency Commission (CNE) declared a green alert for both the Rincon de la Vieja, and Poas and Turrialba. The case remains for the three volcanoes. 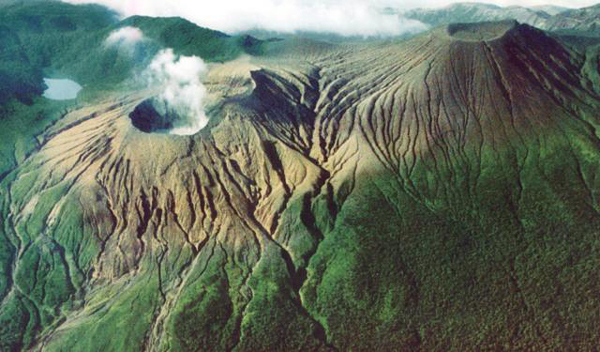 On Rincon de la Vieja volcano there are is little historical data, but it is known that in 1991 an earthquake in Limón was a possible trigger for an eruption that occurred on May 8, 1991 and the subsequent activity that generated up to 1992. It was not until August 2011 the volcano again had activity when intense bubbling was observed in the crater lake and in September of that year there were several phreatic eruptions. The most important happened on September 16, at 13:29 pm eruption that reached 700 feet high, according to a report by geologists Waldo Taylor and Gerardo Soto. 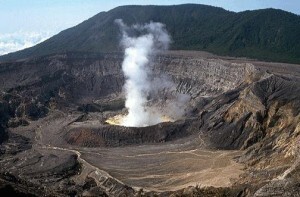 During that month there were 35 eruptions. Taylor said that since that time the business has experienced an increase that peaked this April 14, when seven phreatic eruptions occurred. The main one was at 2 pm, which left deposits of material on the northern flank of the volcano, but did not reach the river channels and Penjamo Blue or Zanjonuda streams and sulfurous.